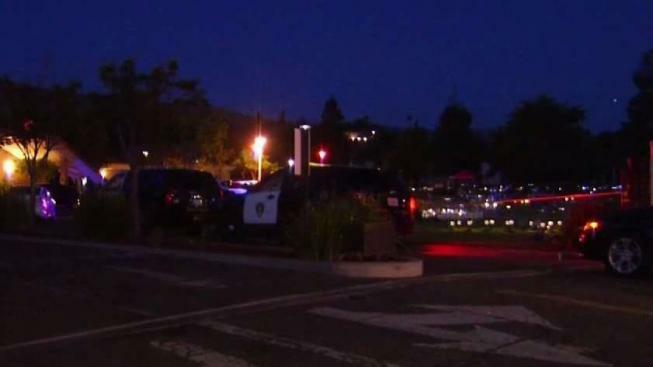 Five people were shot and wounded during a funeral service at a chapel in Hayward on Thursday evening, according to police. The shooting occurred at Chapel of the Chimes on Mission Boulevard, near the Union City border. At the time the shots rang out, two funeral services were underway, according to officials with the funeral home. Four victims were taken to the hospital by ambulance before officers arrived at the scene, according to Union City police. Officers found three victims when they arrived at the scene, and another victim was located elsewhere near the scene, police said. Police later received a call of an addition victim who was self-transported to the hospital. Two of the victims were in critical condition but they have stabilized and are expected to be OK, according to Union City police. Officers detained several people at the scene and some who were running away, police said. They had no information on possible suspects or motive. Witnesses said they saw two people running from the parking lot toward the cemetery just after the shooting. Across the street from the funeral home, in the Mexico Super parking lot, police taped off then confiscated a Toyota sedan. It was unclear whether the vehicle was connected to a suspect or a victim. Anyone with information concerning this incident should contact Detective J. Clubb at 510-675-5227 or via email at joshuac@unioncity.org.